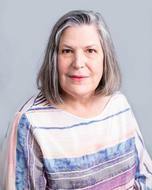 Linda Stoller has been teaching real estate, finance, and accounting for undergraduate, graduate and executive education students for more than twenty years. She has taught Real Estate Investment, Real Estate Finance, Real Estate Development, Corporate Finance, Financial and Managerial Accounting, as well as developing new curricula and courses. Prior to joining the International Business School faculty, Linda taught at Bentley University and at Babson College, where she headed the real estate specialization. Before turning to teaching, Linda was a vice president and principal at Copley Real Estate Advisors, where she was the portfolio manager for a portion of the firm's $6 billion investments in real estate. Prior to that, she was a Tax Manager at Coopers & Lybrand (now Price Waterhouse Coopers) where she was a Certified Public Accountant. Linda holds an LLM in Taxation from Boston University Law School, a JD from Boston College Law School, and a BS from Babson College. She is a member of the Massachusetts Bar.